Unobtainium (aka Unobtanium) : In engineering, fiction, and thought experiments, unobtainium is any extremely rare, costly, or impossible material. Video and more pics below! Nissan has been making the Silvia for a very long time (since 1964 actually) with the most popular being the S13,S14 and S15. These three chassis are the reason we have drifting today. Without the S-chassis we would all be in a different world right now, a world without drifting and that's a scary place to think about. 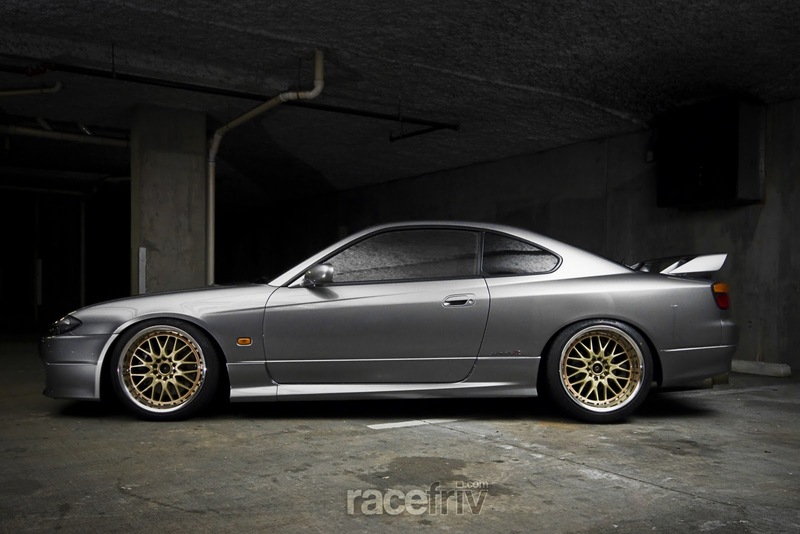 Unobtanium S15 from racefriv on Vimeo. In 1989 Nissan brought the silvia/180sx to states (albeit a much less powerful version as a 240sx). In 1995 North America got the S14 chassis although it still had the KA24DE engine. Sadly in 1998 Nissan stopped importing them at the very moment they started making the best S-Chassis ever... the S15. As you can imagine the S15 is quite a rare bird here in the states, when you happen upon one you can only stop and stare. It blows your mind just thinking about why Nissan wouldn't let us buy the best S-chassis ever, nor their bread and butter SR20DET motor. 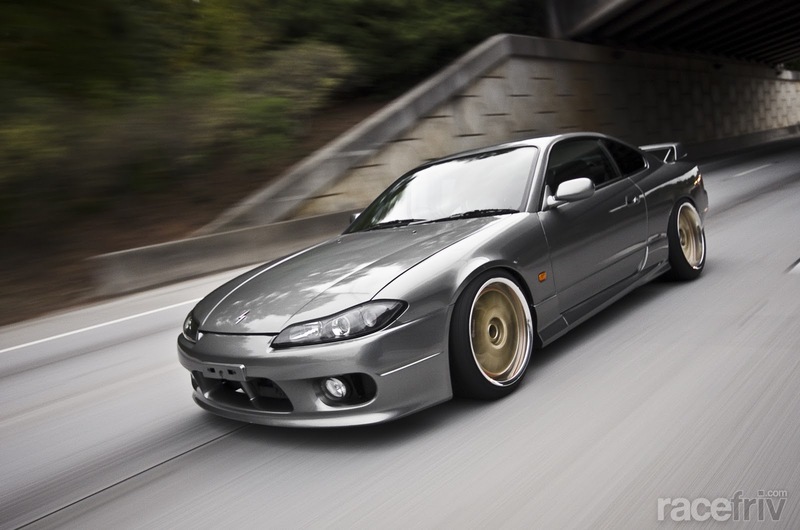 The S15 only lasted for 4 years, Nissan killed the S15 and the Silvia name along with it in 2002, right as the drift scene started to explode. The S-Chassis cars are still the number one go-to car to for drifters, drag racers, and track cars alike, it has been sorely missed since its death. 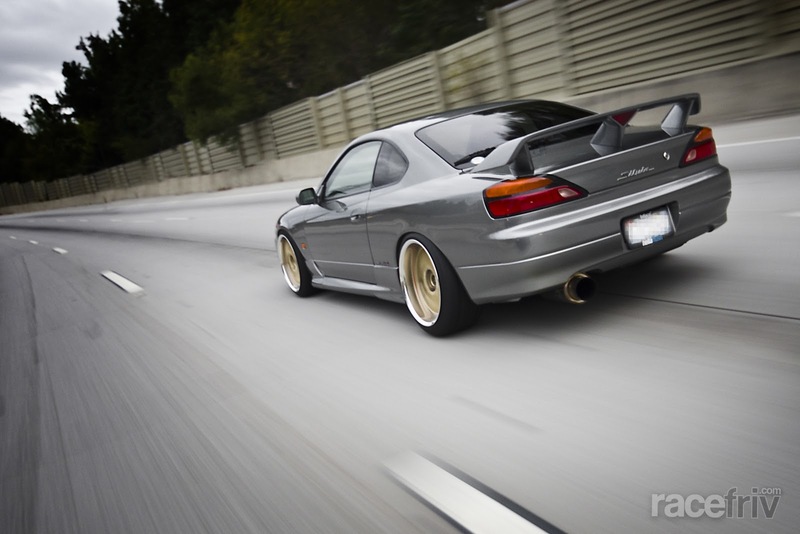 So lets take a look at the best example of the S-Chassis a 2001 Silvia Spec-R.
As I mentioned before Silvia's are quite rare in the states, its just about impossible to see one, let alone own one. For our good friend Kevin though impossible wasn't in his vocabulary and after a post on Zilvia.Net showing this car for sale he couldnt let it go. That meant traveling across the country, from Atlanta to Seattle, and having to ship the car back to his home. 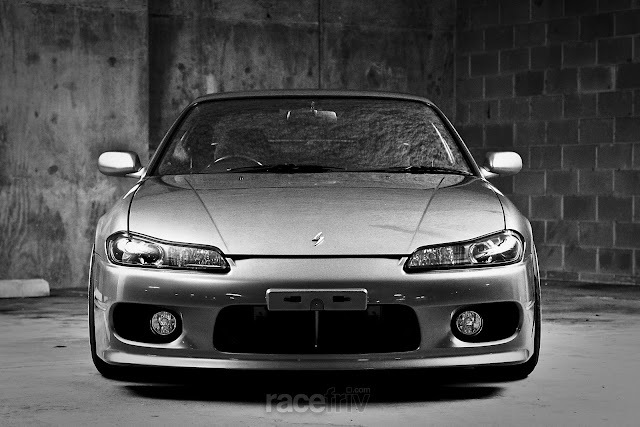 This wasn't an easy task but it worked out ok in the end, and now he owns one of the only S15's on the east coast and has one of the best looking S-Chassis in the States. Once Kevin got the car home he sold his MINT S14 in order to pay for the purchase of his life, because yes.. Kevin is just like you and me, he doesnt have 10 other cars, this was his dream car, so he bought it. 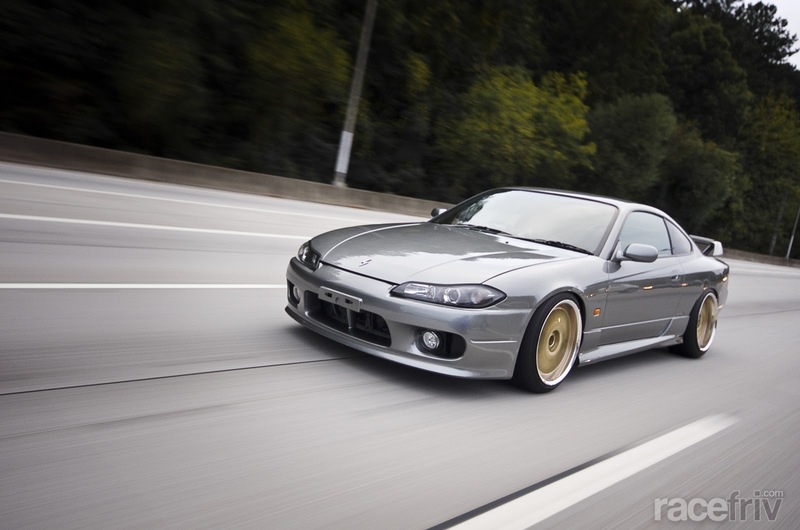 He wasn't content with the ordinary looks of the S15 and fitted it with some HKS Hipermax 3 coilovers and some Volk Racing GTU's 18x9 in the front and 18x10 out back. 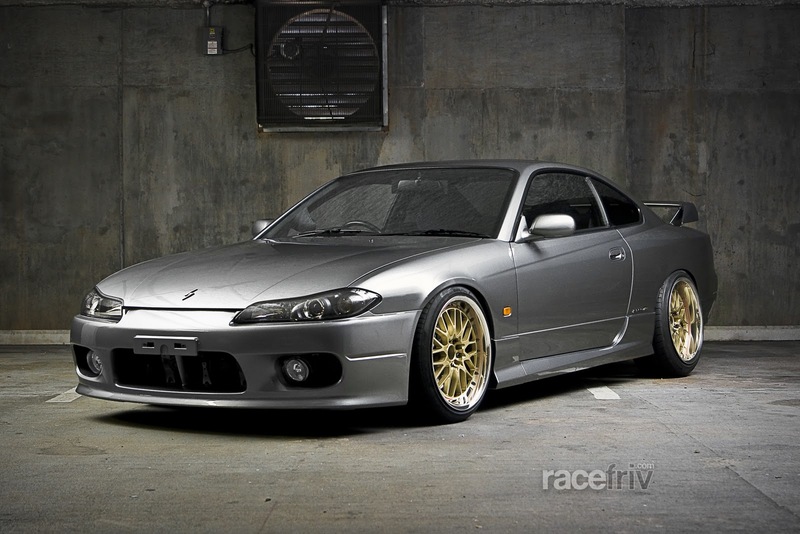 For all people out there with stance on the mind, look no futher here is your dream S15. Its not all show though, with a full JIC Magic Exhaust and the best SR20 Nissan ever made, this car can move and sound fantastic doing it. This is how its done, and the rest may follow. Thanks for looking! and of course as always click on the pic for wallpaper size. Stay friv everyone.